Renewal of a City Class B License (Amusement, Liquor, and Victualer) and renewal of a State Class X, Class A Lounge Malt, Spirituous, and Vinous Liquor License. Renewal of a City Class B License (Amusement/pool tables, Liquor, and Victualer) and renewal of a State Class V, Club w/o Catering Malt, Spirituous, and Vinous Liquor License. All persons may appear to show cause, if any, why the above application should not be approved. Renewal of a City Class C License (Liquor and Victualer) and renewal of a State Class IV, Restaurant Malt Liquor License. Renewal of a City Class C License (Victualer and Liquor) and renewal of a State Restaurant (Class I, II, III, IV) Malt, Spirituous, and Vinous Liquor License. Renewal of a City Lodging License. 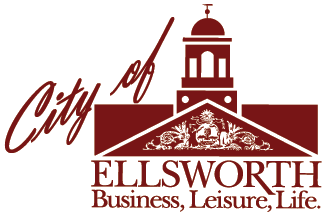 The municipal officers of the City of Ellsworth will hold a public hearing on Monday, April 15, 2019 at 7:00 PM in the City Hall Council Chambers to hear comment and act on amendments to the City of Ellsworth Code of Ordinances, Chapter 10, Ordinance for the Maintenance, Administration and Disposition of Tax Acquired Property. Copies of the amendments are available upon request at Ellsworth City Hall, 1 City Hall Plaza, Ellsworth, Maine. The City of Ellsworth will hold a Public Hearing on Monday, April 15, 2019, at 7:00 PM, at the Ellsworth City Hall to discuss amendments to the Ellsworth Housing Rehabilitation Program guidelines. Public comments will be solicited at this hearing and will be submitted to the Maine Department of Economic and Community Development. All persons wishing to make comments or ask questions are invited to attend this Public Hearing. Comments may be submitted in writing to: Dwight Tilton at One City Hall Plaza, Ellsworth, Maine 04605 or at dtilton@ellsworthmaine.gov any time prior to the Public Hearing. TDD/TTY users may call 711. If you are physically unable to access any of the City’s programs or services, please call Penny Weinstein at (207) 669-6616, so that accommodations can be made.